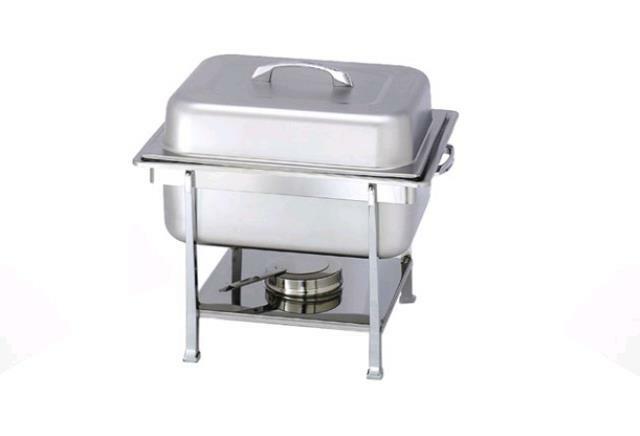 Chafer comes with a base, water pan, lid, sterno holder, and sterno cover. Food pan is not included with this item. Half pans and quarter pans are available at an additional cost..
Sterno (7 oz) is an additional cost. You need 1 for each 4 Qt. Chafer and they last 2 hours.